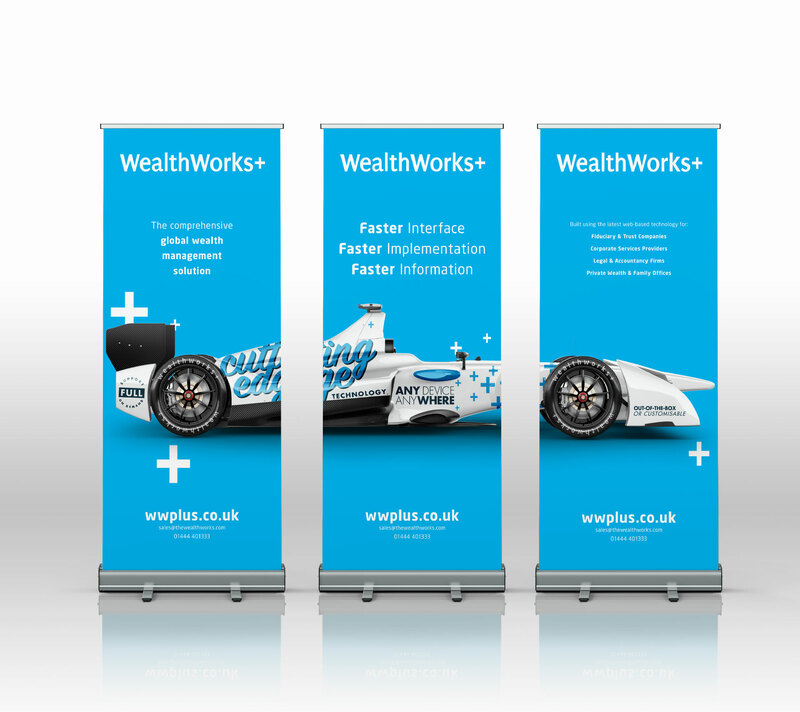 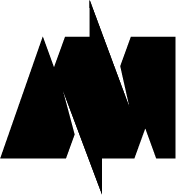 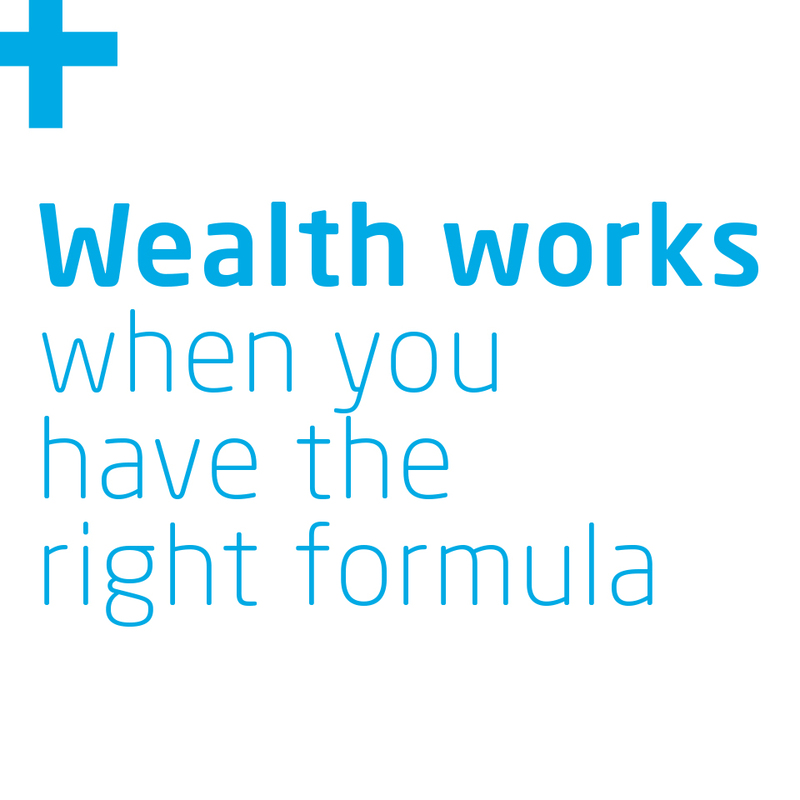 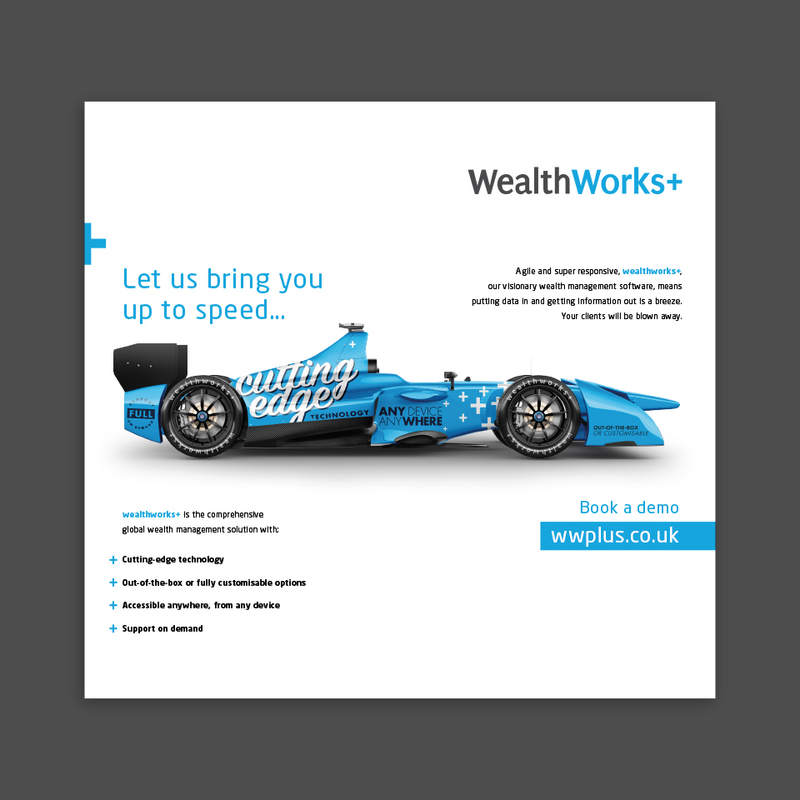 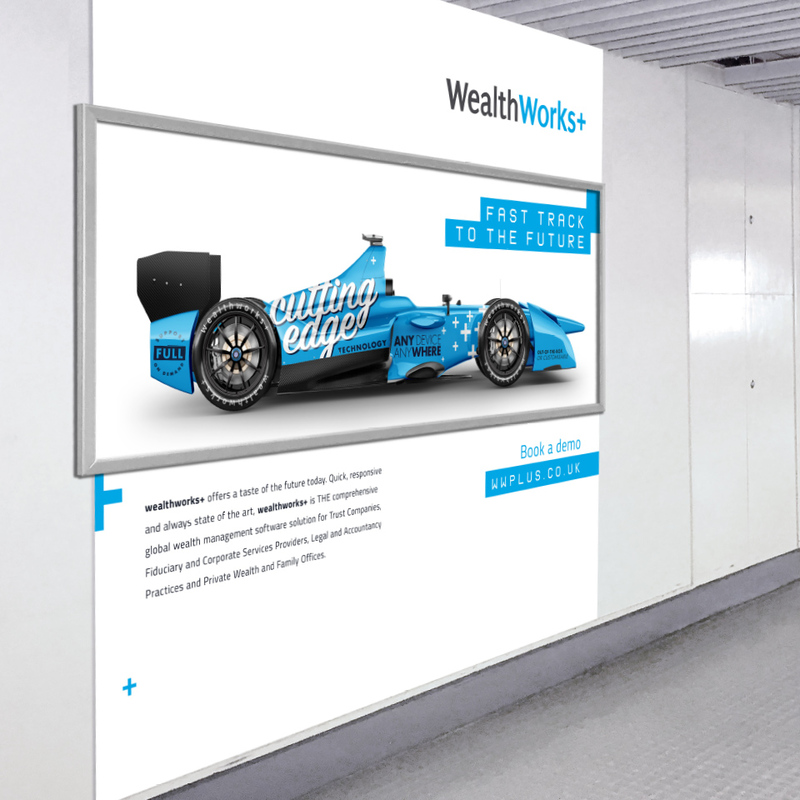 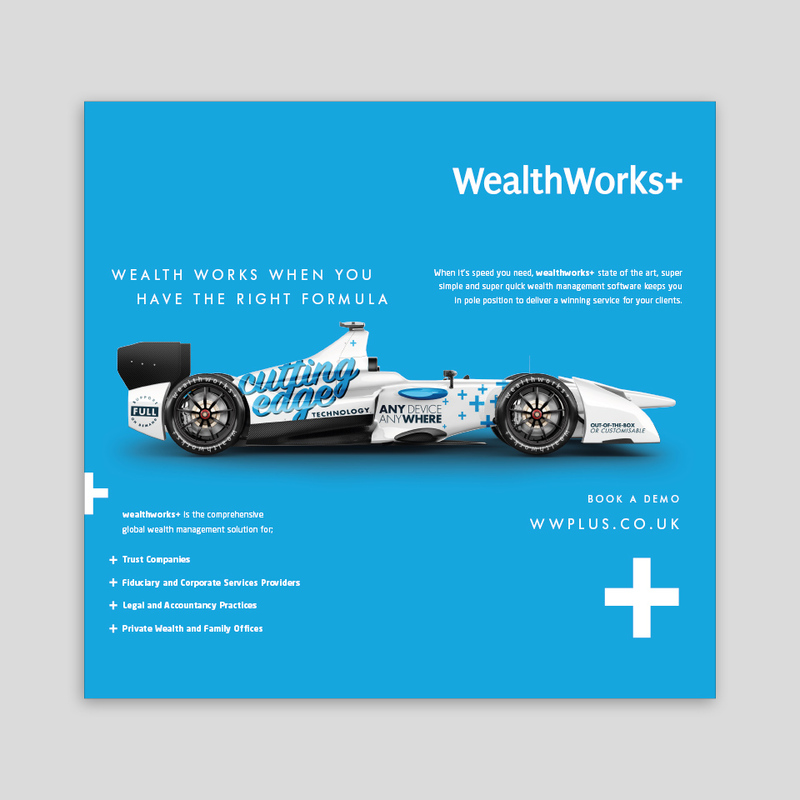 WealthWorks+, not just a continuation of their brand, heralds a completely new generation of wealth management software for the company and needed a new, fresh branding strategy to represent this. 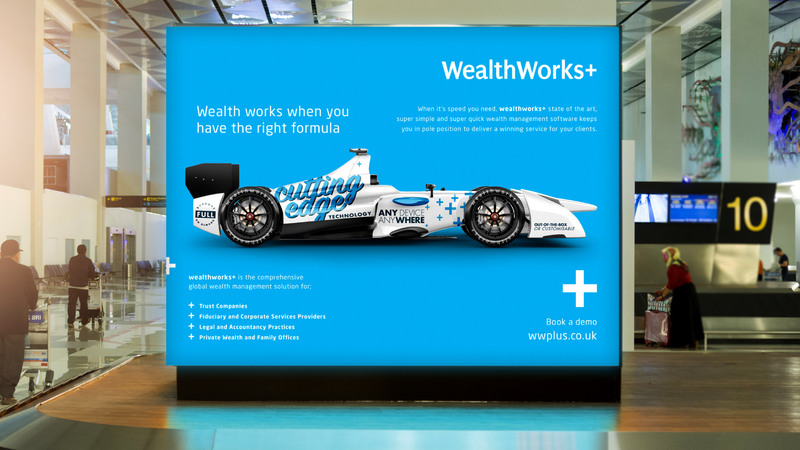 billboard advertisement which would be displayed in Jersey airport as well as other pieces of graphical communication to support their launch event. 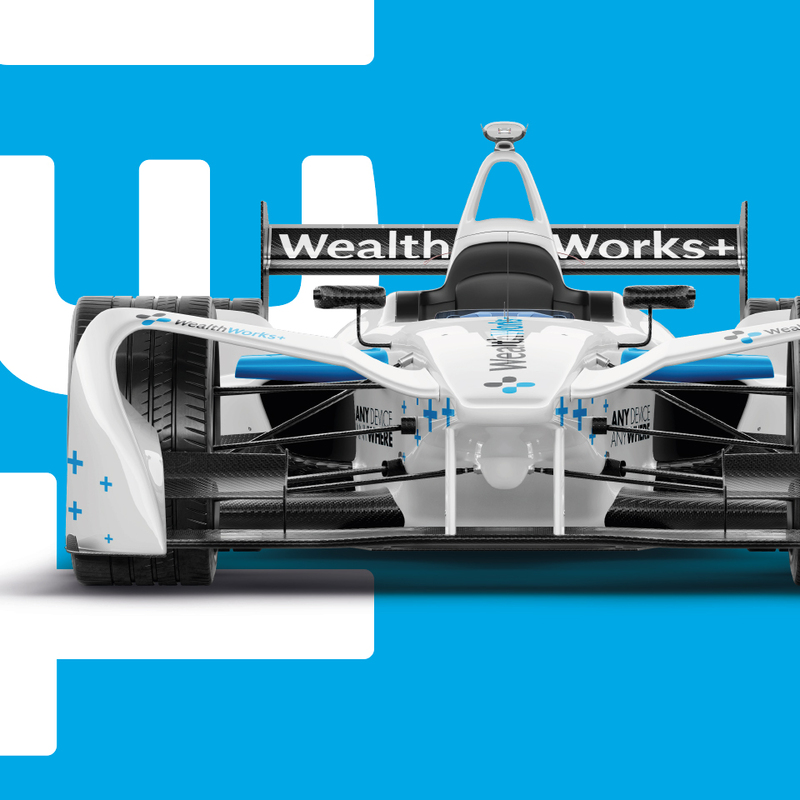 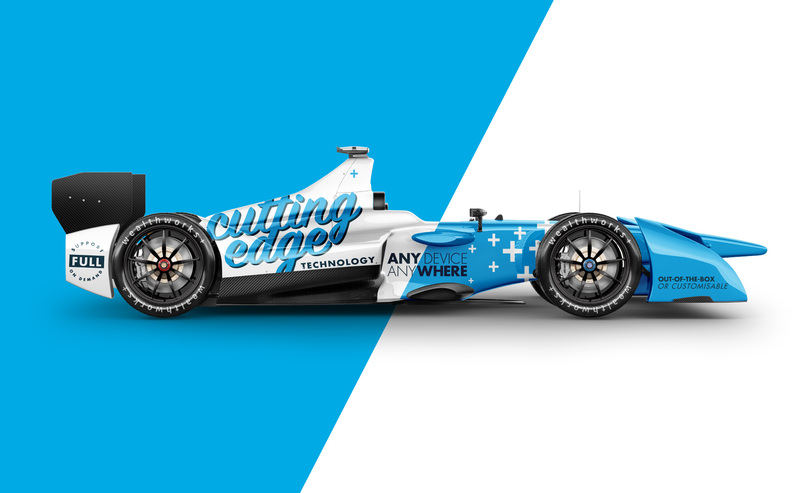 The company was keen to promote speed as its key differentiator over rival products and requested a Formula E car to represent this key product feature. 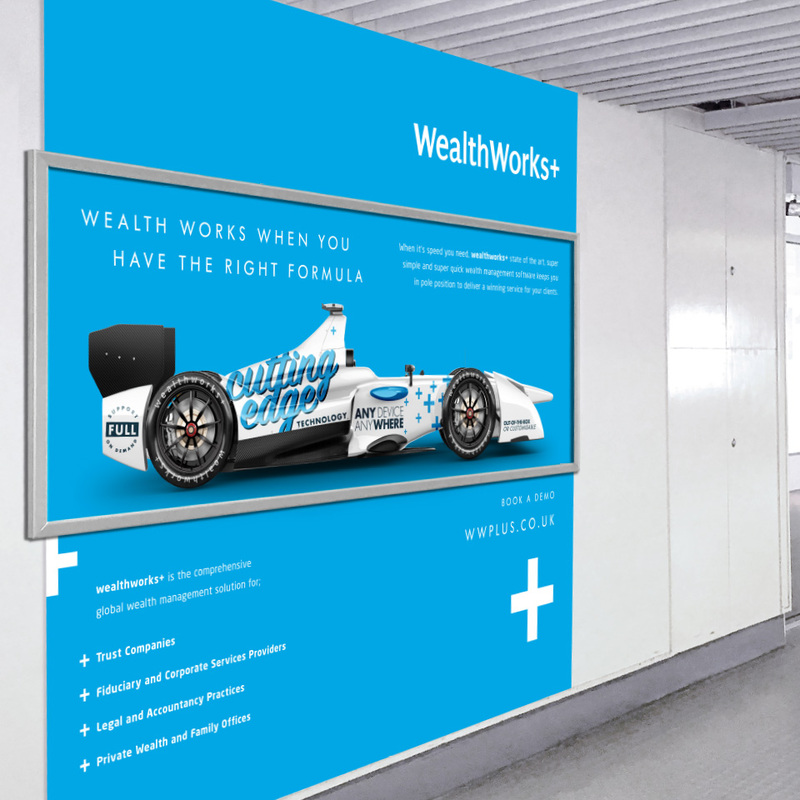 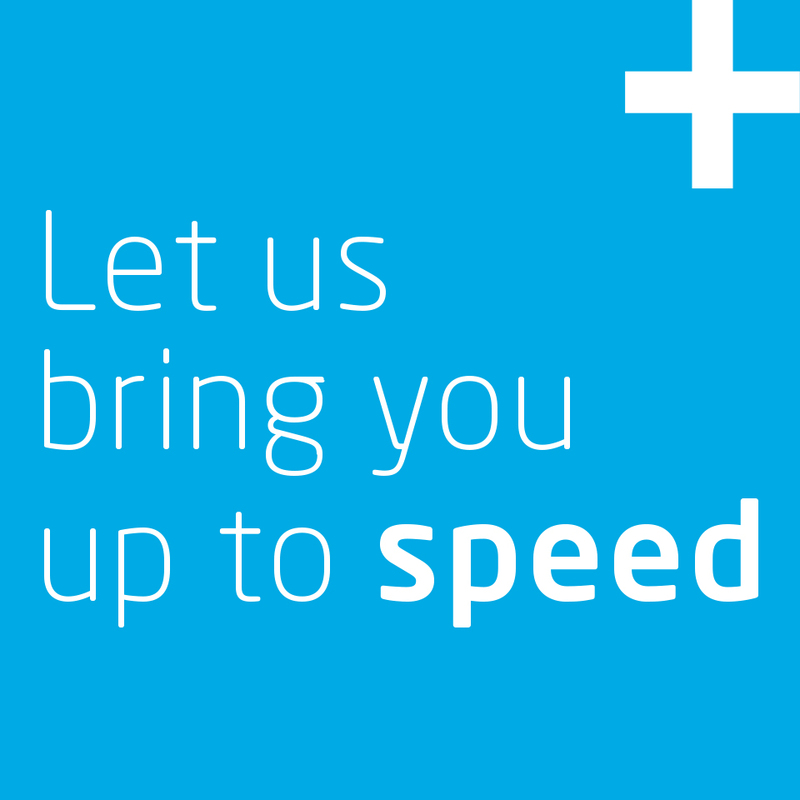 We combined striking visuals with engaging copywriting to create a high impact, large format, billboard design and complimentary promotional materials.